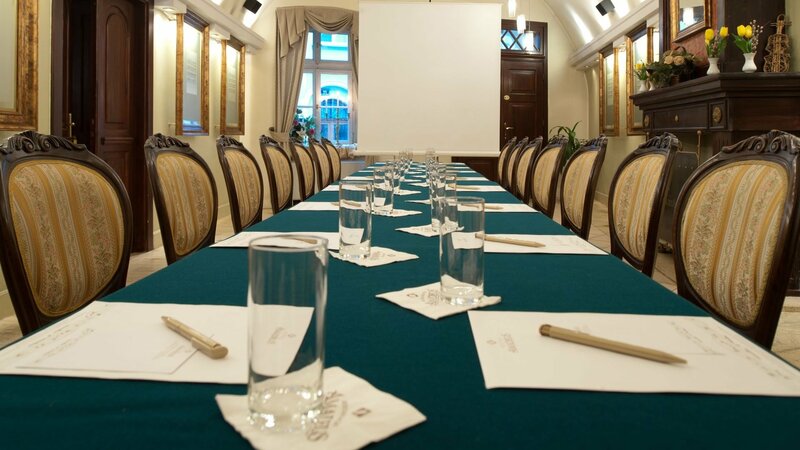 The exceptional style of the hotel Amadeus is rounded off with modern solutions specially prepared for businessmen. 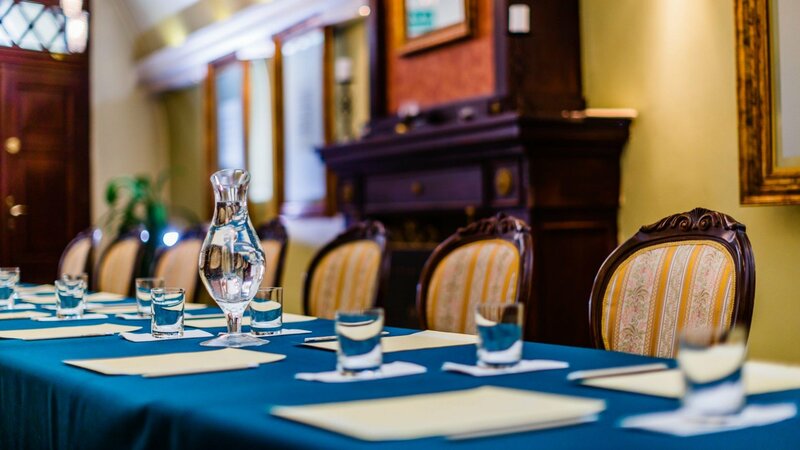 Our comfortable and well-equipped conference rooms make great places for small conferences, training sessions, press conferences or other business meetings in Krakow. These are only substitute of project organized by us. All of our guests can expect complex service of the highest quality. They can all expect that we will attend to them in a special manner, so that all their moments spent in Krakow are unforgettable. 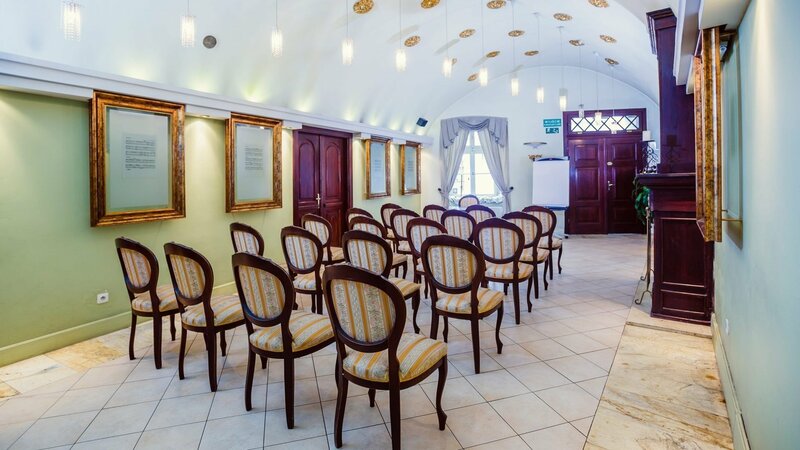 For detailed information about Hotel Amadeus conference offer, please contact us at: konferencje@janpol.com.pl. Everything about this Hotel was perfect. We could not fault a single thing. The “city’s heart” is a 200 m2 (4 ha) square. Cloth Hall — the oldest fabric shop in the world — is situated in the centre of the Market Square. The Town Hall Tower, the small St. Adalbert’s Church, and one of the symbols of Kraków —St. Mary's Church with its slender towers and the altar created by an exquisite Nurembergian sculptor Veit Stoss are located in the square. The Main Square is present in some Krakovian legends, traditions, and historical events, such as the bugle-call from St. Mary's Church tower or the June parade of the Lajkonik. Market Square is surrounded by original tenements, the majority of which are centuries-old monuments. The castle and Wawel Hill form one of the most import historical places in Poland. It was the official residence of Polish Kings and the symbol of the state for many centuries. In 1930, it became one of the most important museums in the country. 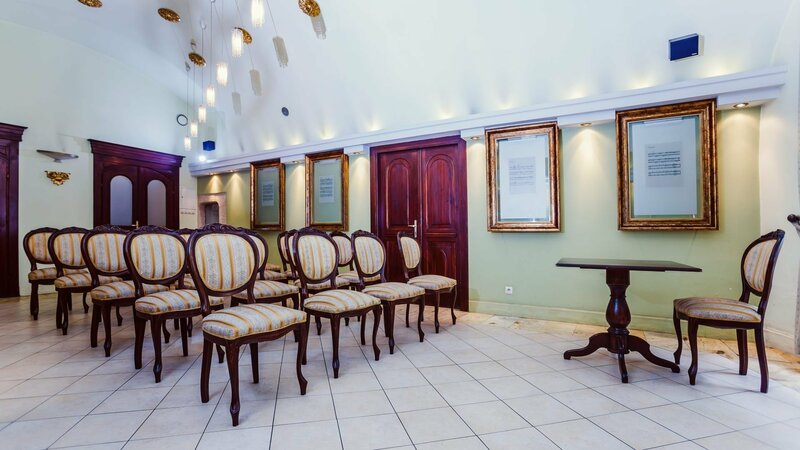 It houses painting, drawings, sculptures, fabrics, goldsmithery, militaria, porcelain, and furniture collections. In the chambers, the arrases of King Zygmunt August, Italian paintings from the Lanckoroński collection, as well as Eastern art are displayed. Permanent exhibitions recreate what the chambers looked like in the Renaissance and Baroque periods. The Wawel Cathedral was the Polish royal church, the place the most important state ceremonies such as coronations, weddings, baptisms, and royal funerals, for four hundred years. Today, one can see the tombs of kings and Kraków bishops, as well as one of the most famous bells — the Sigismund bell — manually operated (on special occasions) by 8 to 12 members of the Sigismund Bell Ringers. Kraków is known for its enchanting atmosphere, which is closely related to diverse cafés, restaurants, bars, and pubs. The fantastic design of both the underground or well-exposed restaurants entices one to try Polish and international cuisine. 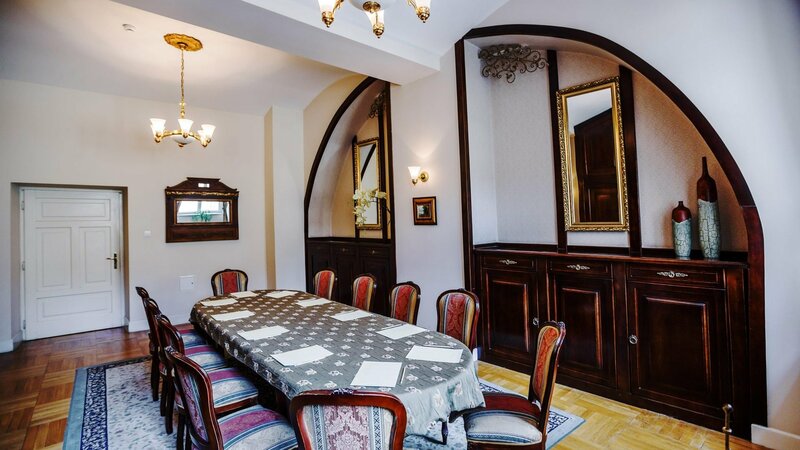 Wierzynek Restaurant, Wesele, and Szara Gęś w Kuchni are flagship venues associated with Kraków and allow their guests to taste “our” cuisine. Exploring side streets in order to discover places such as: Piwnica Pod Baranami, Stary Port, Piec’art., Pimiento, or Zen Sushi are also worth trying. Other unique places can also be found in the Kazimierz district: Alchemia, Absynt, Mleczarnia, Singer, and Le Scandale. Moreover, one can buy an enormous zapiekanka in the booths the middle of the Jewish Square. Judah Square on Św. Wawrzyńca Street is home to food trucks selling — among others— the famous Kraków maczanka roll. Recently, the former cigarette factory at the corner of Rajska Street and Dolnych Młynów Street has become a trendy place. It includes a vegan restaurant, Weźże Krafta pub, Mr. Pancake bar, and many more. One can also listen to music or relax on the grass, in a deckchair, or in a hammock. Kazimierz, today known mostly as the former Jewish district, was established in the 14th century as a separate town. It was a place where Jewish and Christian cultures intertwined. 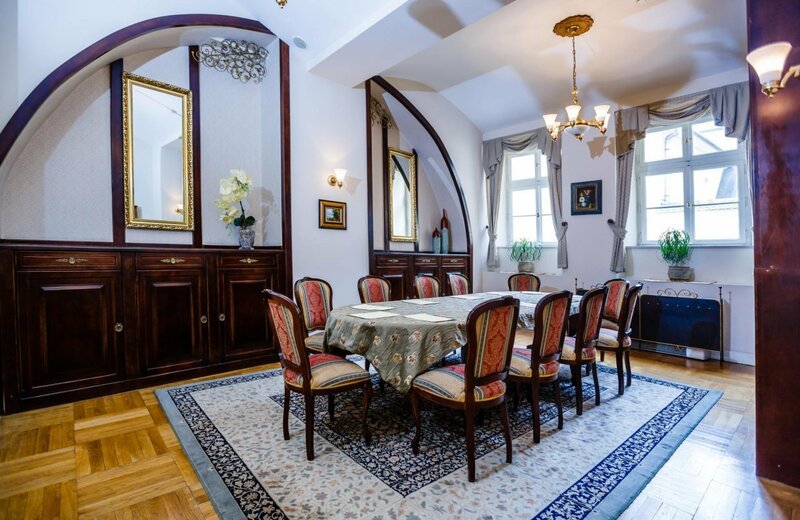 At present, it is one of the most important tourist and cultural attractions in Kraków. The cosy and one-of-a-kind cafés, restaurants, galleries and antique shops, cobbled streets, and monuments create an enchanting atmosphere that one cannot resist. The unique architecture of the district together with its wide range of entertainment options make Kazimierz a very attractive place to spend free time. Every year, the Jewish Culture Festival — an event attracting thousands of guests from Poland and other countries — takes place there. One can also cross the Bernatka Footbridge to visit the Podgórze District, which until 110 years ago was a separate town, and admire the beautiful Cricoteka Centre for the Documentation of the Art of Tadeusz Kantor during the walk. Walking between St. Mary’s Church and Cloth Hall, one can be unaware that a real treasury of knowledge about the past of Kraków is located just several metres below them. The Rynek Underground museum, is a 4000 m2 big archaeological reserve, unique on European scale, where one can admire diverse treasures and learn about the turbulent history of medieval Kraków. Interesting materials, multimedia (touch screens, holograms, projections, films) and special attractions for kids accompany the exhibition. The MOCAK Museum of Contemporary Art in Kraków, opened in 2010, presents art created in the last 20 years in the context of post-war avant-garde and conceptualism. The presentation of international contemporary art, education, as well as publishing and research projects are MOCAK’s main goals. It is worth seeing. When in Kraków, one must see the oldest building of the Jagiellonian University — Collegium Maius, which was constructed in the 15th century by joining two neighbouring tenements. Magnificent arcaded galleries with crystal ceiling are especially worth seeing. There is a well in the centre of the courtyard, and historic spiral stairs (the bigger ones are known as Professor Stairs) lead to the first floor. Visiting the museum is an exciting journey into the history of the university. The exhibits include: a copy of Nicolaus Copernicus’s “On the Revolutions of the Celestial Spheres”, memorabilia of famous UJ professors and students, as well as some newer trophies, such as Andrzej Wajda’s film awards. 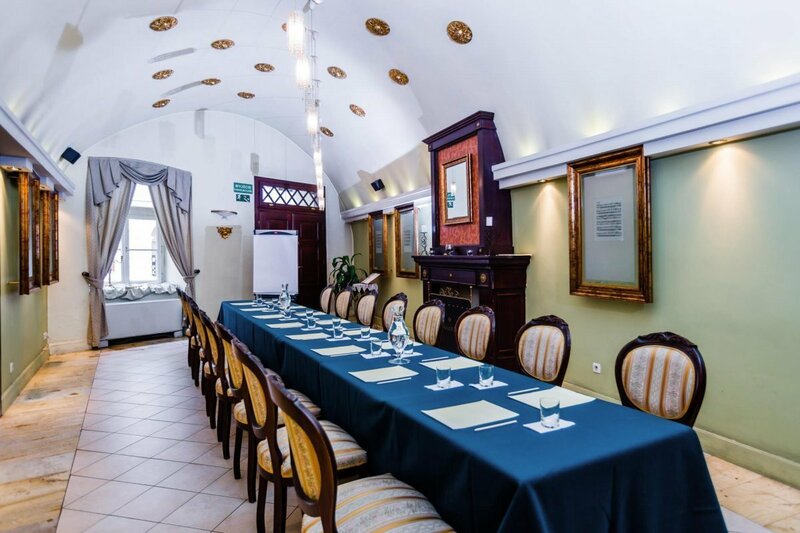 One can also visit the historic lecture hall used by the university authorities to this day and former dining hall, where the most important guests, such as Queen Elizabeth II, are hosted. The museum is located 1 minute from the Market Square. One can take a short rest in the Professor Garden accessed through a narrow corridor on the left side of the Collegium Maius courtyard.